A larger specimen of orthoceras, this 400million year old fossil cephalopod is a distant relative to the modern day nautilus (and squid and octopus). The setting is reminiscent of the waving locomotion of a cuttle fish with a hint of kelp. 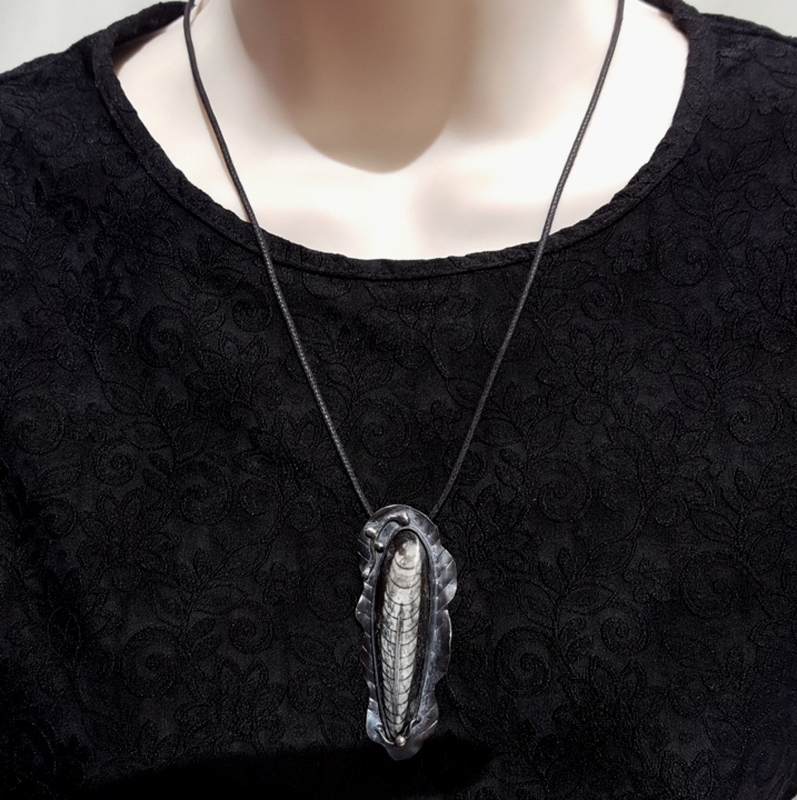 The setting is oxydized and polished sterling silver and hangs from a 20" waxed black cotton cord. 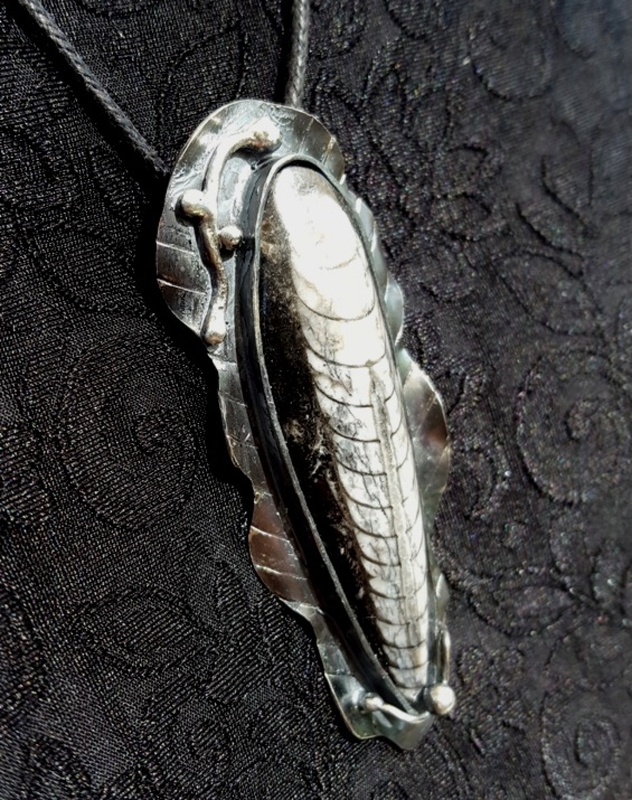 Metaphysical: Orthoceras may be used to enhance telepathy. It helps support business success and can help improve recognition of your accomplishments. 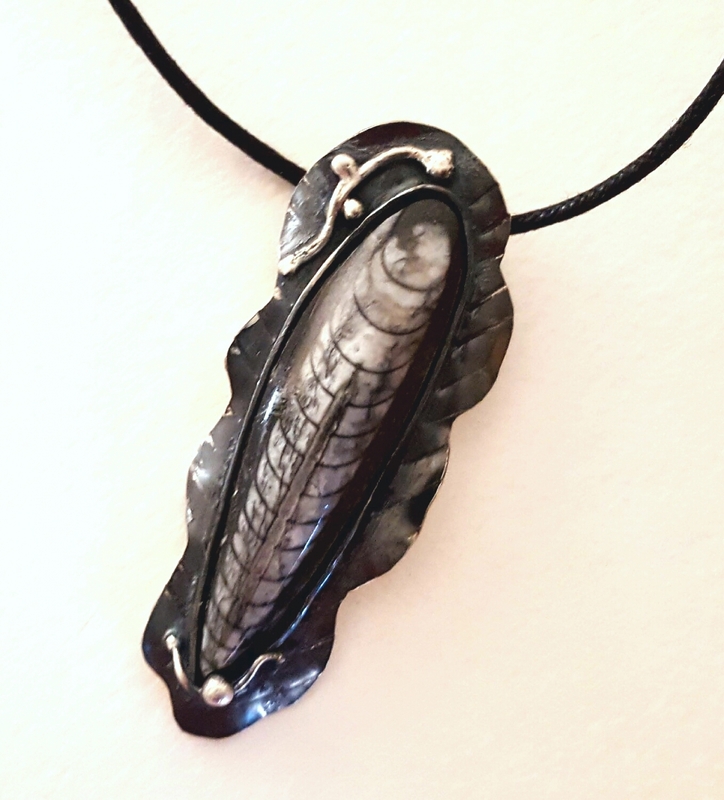 As a fossil, it holds a literal connection to the past, fossils support longevity, memory, and past life recall. They are also used to contact spirit guides, honor ancestors, or connect to ancient sources of knowledge. Your StoneWyre creation will come packaged carefully in a hand stamped kraft gift box--ready to give as a gift or keep for yourself and use for storage!